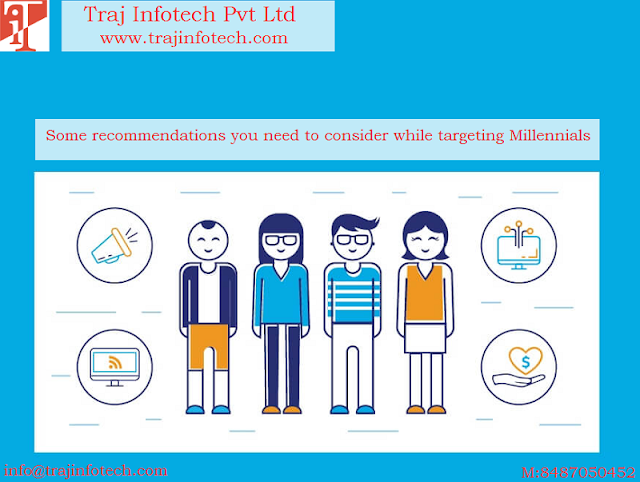 Traj Infotech: Target audience with advertisements that will lead to convert. Target audience with advertisements that will lead to convert. Each year, companies have been spending money on social media advertising. For the last couple of years, there has been a trend; even big brands are doing the same. The main reason is that social media advertising makes sure that the advertisement is seen, by the targeted audience and results in conversion. Earlier, marketing was about huge audience, things have changed now; it is all about communication with targeted audience. No doubt, Social Media advertising is very handy, to advertise all your services and products, but not easy to target potential customers. All this requires, time, research and thoughts, to understand the best strategies that will help to reach out to the correct audience. Let’s discuss the ways, to use advance advertising targeting methods, on different social media network. The entire process of targeting the correct audience is divided into different steps. It is very crucial to understand the qualities of your audience. Try and build detailed information about the audience characteristics. All the resources and effort will be useful for your advertisements. To understand the characteristics of your audience, you need to begin with the challenges the customers face, their likes and dislikes, preferences and interests. All this information will make it easier to identify your targeted audience. Digital Marketing Company – Traj Infotech Pvt. Ltd, can assist you in identifying your potential customers. The advertisement has a common aim or goal, but you need different strategies to advertise, on the various social media platforms, to grab the attention of your audience. Next, is to know the correct option for networking. Is it Twitter or Facebook or LinkedIn or Instagram? Traj Infotech, Digital Marketing in Ahmedabad, can boost the visibility of your products on social media. To boost your return on investment, do not advertise to people, who are not interested. Need to analyze the information or data and avoid audience, who will not engage, by doing this; you can focus, only on the audience that will lead to convert. You can hire IT Services to boost your ROI further.